SAN ANGELO, TX — The City of San Angelo has announced that, "if you missed Lilo & Stich on Friday, don’t worry. 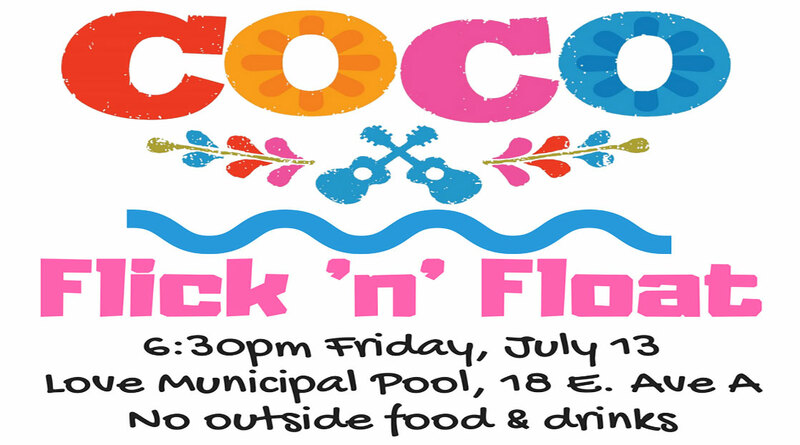 Coco will be playing at the Love Municipal Pool on July 13." The Flick ‘n’ Float will be at 6:30 p.m. on Friday. Love Municipal Pool is located at 18 E. Avenue A. The movie will begin at sundown. Floatation devices and chairs are allowed. Regular admission fees apply, so $5 per person for ages 3-64, $3 for 65 and older, and free for children younger than 3. No outside food or drinks will be allowed inside the pool area. Concessions will be available inside. The City of San Angelo encourages you to come out to a family friendly event.